Your customers want to #SkipTheTrash! We love Durham and we love our community. But the Triangle is facing a crisis that is threatening the health of our environment and our residents: Trash. 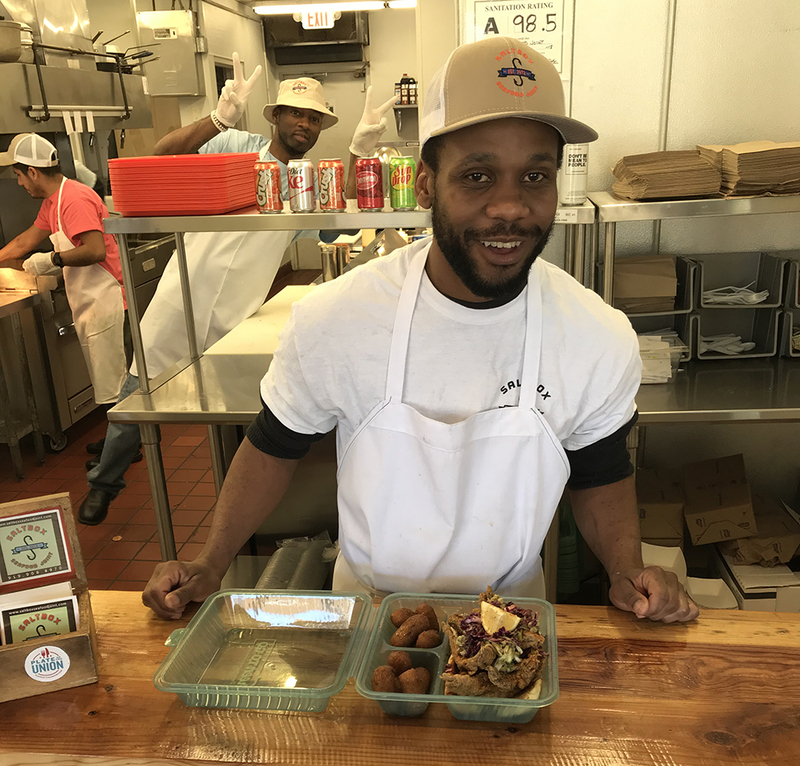 GreenToGo is teaming up with local businesses to take action to prevent trash, one meal at a time. What is GreenToGo? GreenToGo is Durham’s reusable, returnable take out container service that reduces trash in our community by preventing it in the first place. We provide restaurants with clean GreenToGo containers, monitor the inventory and restock them as needed. We do an in-person training for your staff, provide signage for customers, and can even do demonstrations in your restaurant to teach customers how it works. 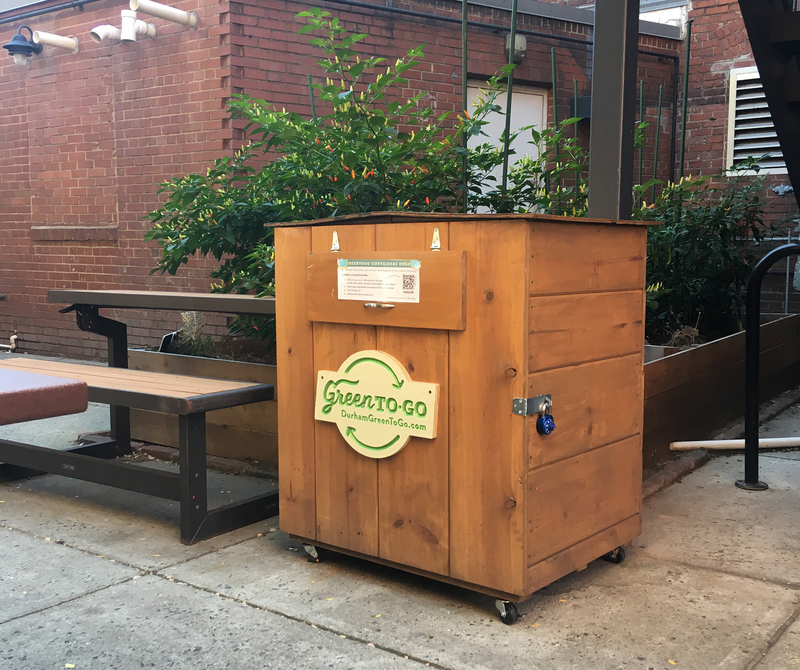 Your restaurant will have an on-site return station (which can be located indoors or outside) for customers to return dirty GreenToGo containers . Participating restaurants are stocked with our reusable, spill-proof containers. 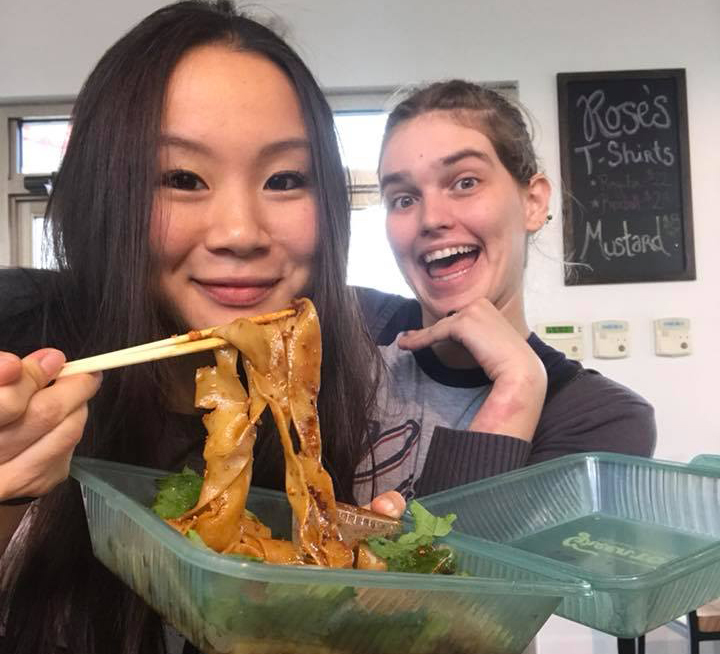 When a GreenToGo member dines at your restaurant, they request a GreenToGo container for their takeout or leftovers and show your cashier that they are an active GreenToGo member on their mobile device. Your staff simply uses a clean GreenToGo container for the customer’s food and the customer checks it out on their mobile device using the sign we provide. Your restaurant’s stock of containers is inventoried electronically based on these check-outs and refilled as needed by GreenToGo staff. We collect dirty containers from return stations weekly by bicycle to reduce our carbon footprint. When your restaurant joins GreenToGo, all of your employees receive a 1-box, 1-year GreenToGo membership for free! And, of course, by choosing GreenToGo, your business will save money by purchasing fewer single-use take out boxes! As this movement grows, your costs go down! 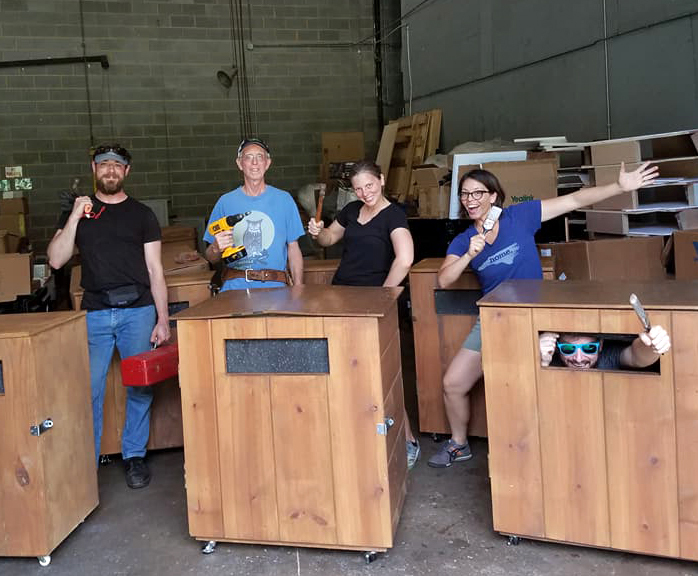 $500 per year includes all the GreenToGo containers your restaurant can use, plus a return station (hand built using reuse materials) at your restaurant, unless you are located geographically near an existing one. It’s a Takeout Revolution. Be on our side! Ready to do it?! Fill out this form and we’ll be in touch shortly to get that ball rolling! Tell us about your restaurant and why you'd like to become a GreenToGo participating restaurant.